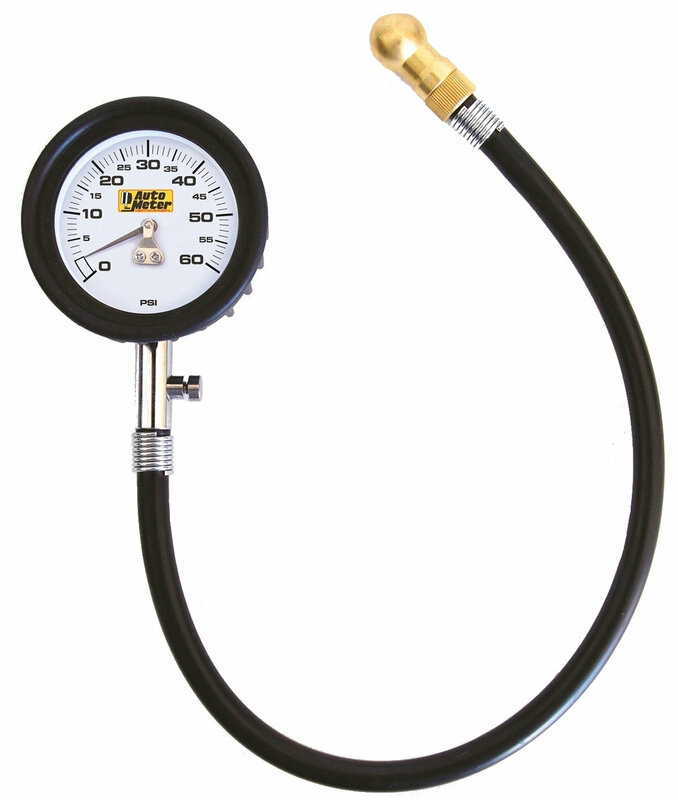 60 PSI gauge with Auto Meter's signature racing dial design. 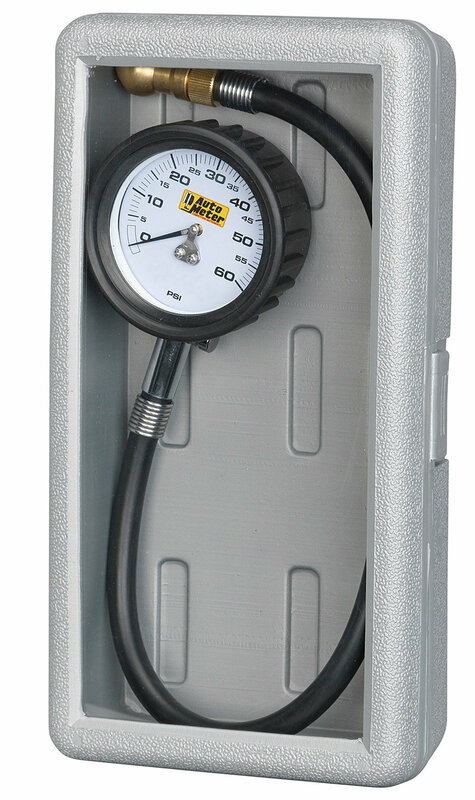 Features include a shock dampening easy-grip housing, specially designed hose with strain reliefs & remote brass nozzle to ensure durability & accurate readings. Includes case. Tire gauge, mechanical. 2.5" diameter dial. Hose length 13.75"